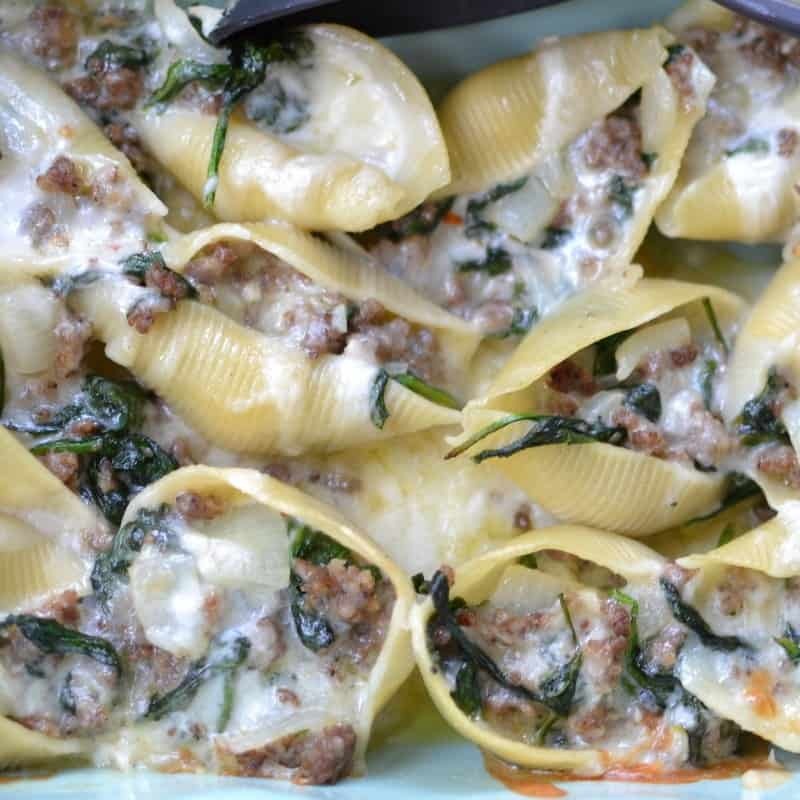 There are so many great ways to stuff pasta shells. They are so versatile. 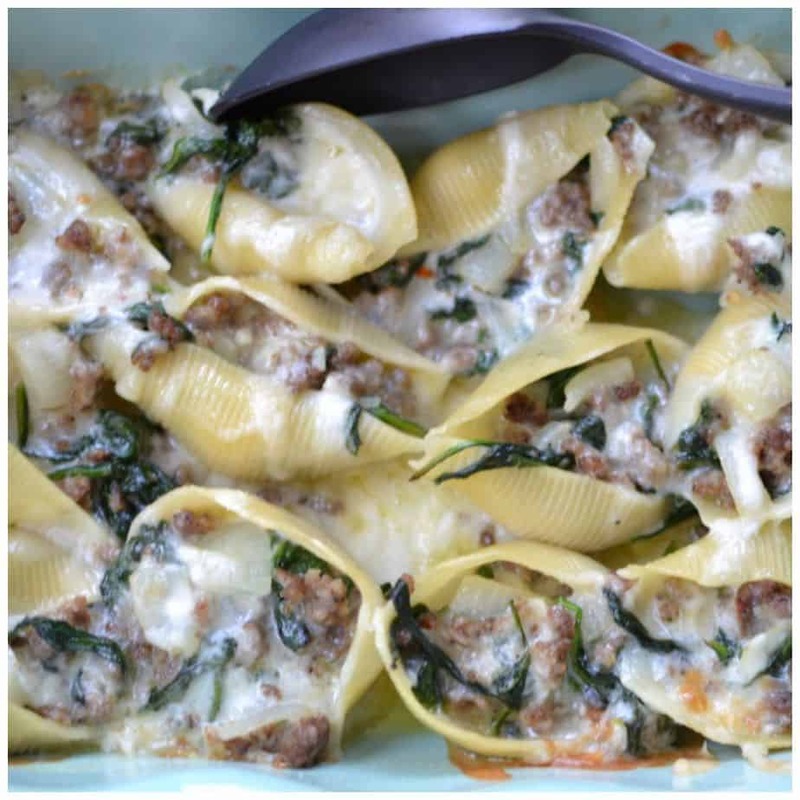 There are Mexican style stuffed shells, or Triple Cheese Barbecue Pork Stuffed Shells, or broccoli Alfredo chicken stuffed shells but I think my favorite is these Triple Cheese Sausage Spinach Stuffed Shells. These little beauties are such a treat. These can be made up ahead of time covered and just waiting till about 30 minutes before chow time to be popped in the oven. 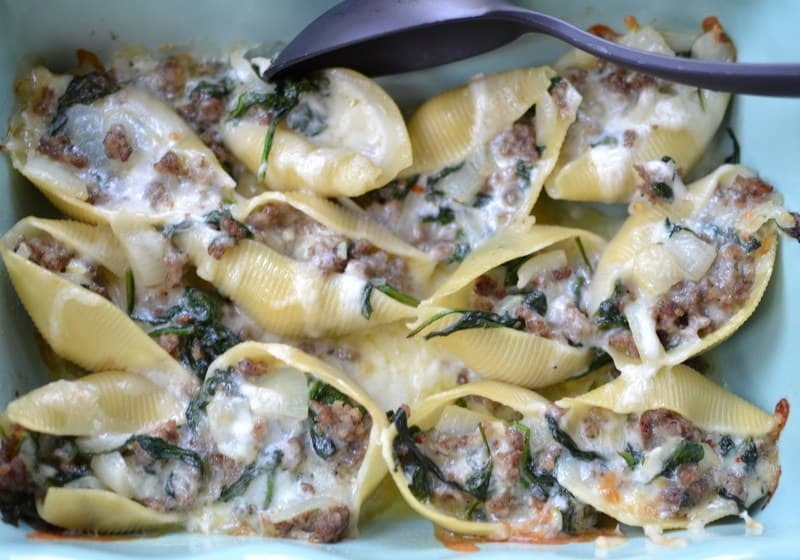 this makes it a perfect dish for weeknights or company. I have even prepared these for parties! So yummy!! This dish is not overly loaded with carbs. With a salad or soup it would only take three of these shells to fill you up!! 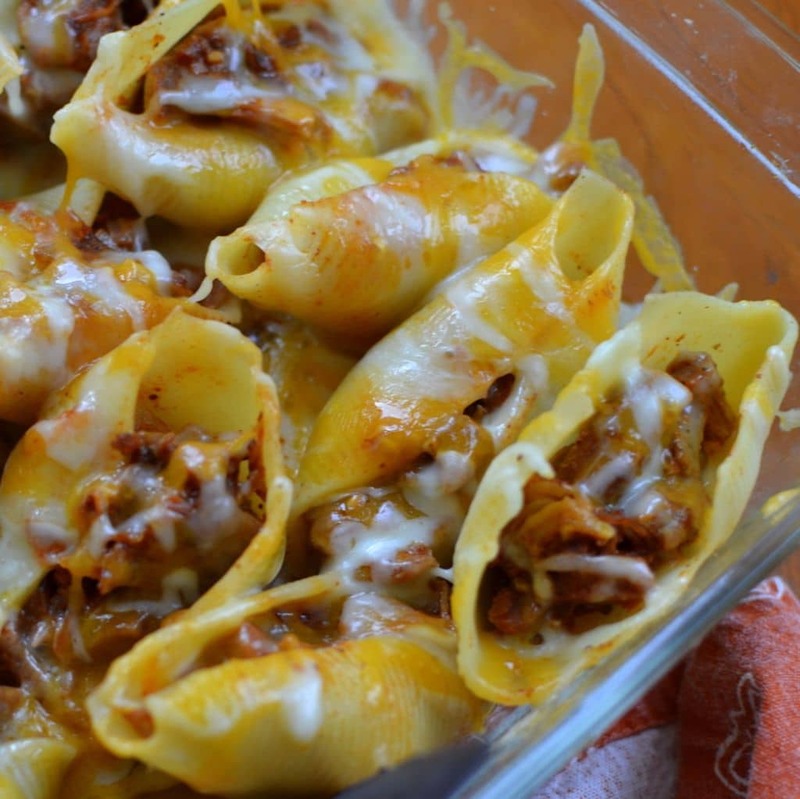 The shells are plump full of delicious high protein foods like sausage and cheese. 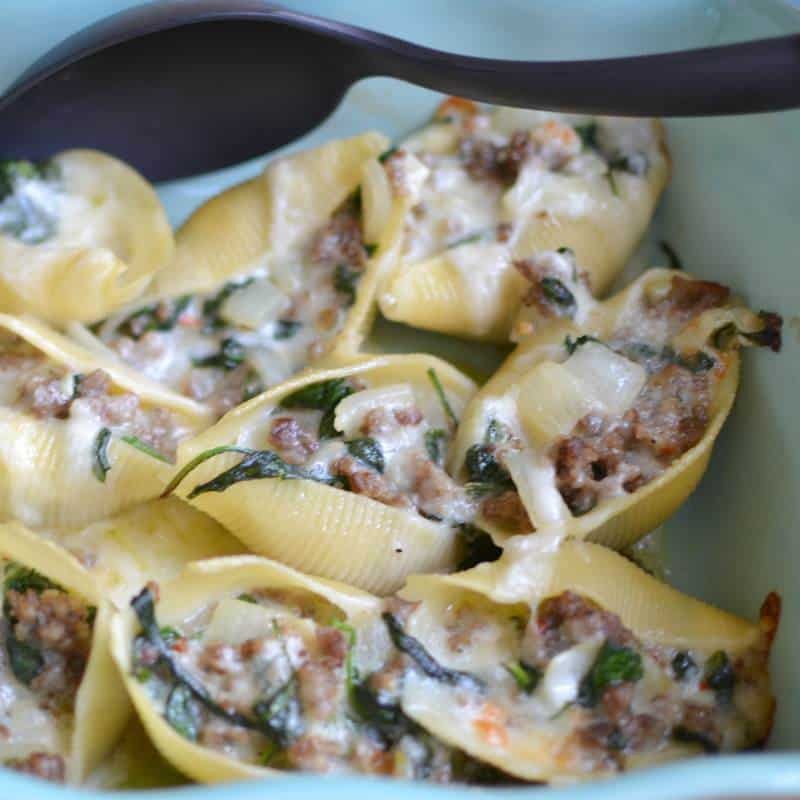 These Triple Cheese Sausage Spinach Stuffed Shells can be prepared in no time at all and your family will be singing accolades! Give them a whirl and let me know if you love them as much as we do!! Cook noodles according to box instructions. Drain well. In large skillet over medium heat brown sausage. Add onion and cook additional 2.-3 minutes or until onion is semi-soft. Reduce heat to medium low. Add garlic, oregano. basil and spinach and cook just until spinach starts to wilt; approximately 2 minutes. Remove from heat and allow to cool for 5 minutes. Add 2/3 cup of each cheese to the pan (reserving 1/3 of each cheese for the top). Gently fold to combine. Scoop sausage/spinach mixture into the shell. Sprinkle the rest of the cheese over the top. Bake at 350 degrees for 25-30 minutes or until the cheese is melted. 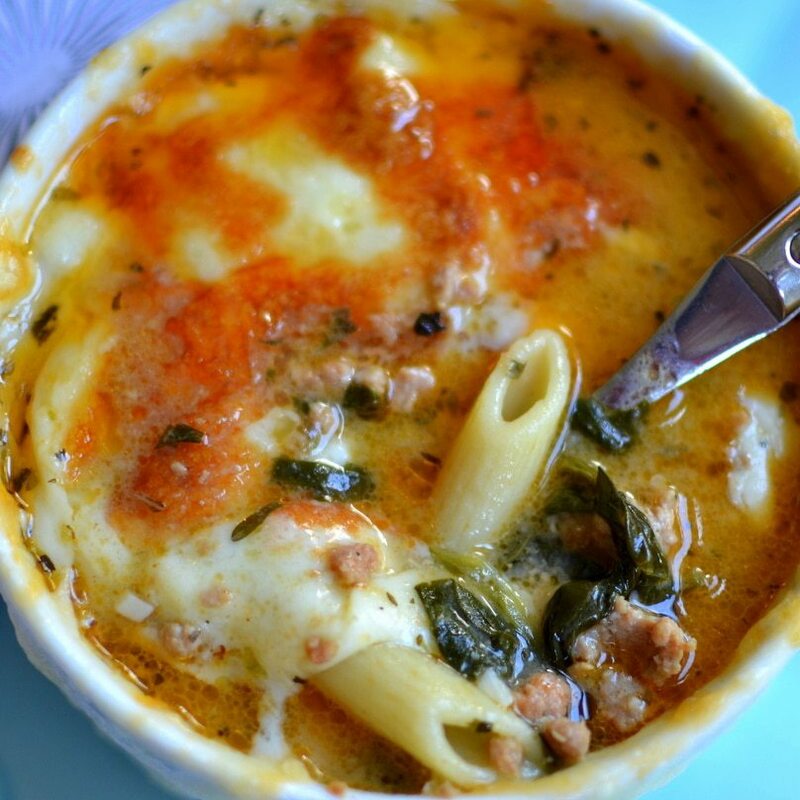 Other delectable recipes you will love! !